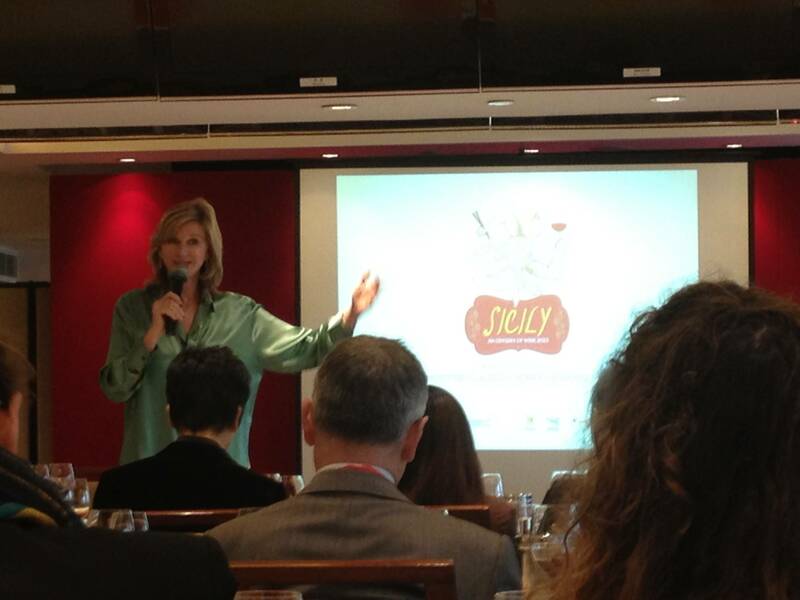 Sicilian wines have come to Hong Kong and to get things started yesterday, Debra Meiburg MW presented a masterclass on the wines from this region before participants attended a tasting affair in the afternoon. Meeting Debra briefly before the masterclass I was struck immediately by her warm personality and infectious energy. This translated well to the masterclass where she took us through the basics of Sicilian history, geography, grape varieties and wine-making styles. Debra’s style is one of easy communication as she kept us engaged with questions, pop quizzes and even a quick lesson on how to make the perfect paper airplane – all the while ensuring we remembered the subject at hand. The wines on tasting were a good representation of native varieties from Sicily with my favourites being the first and last wines we tasted. The first wine from Cantine Russo, Rampante Etna DOP 2007, a Nerello Mascalese (80%), Nerello Cappuccio (20%) blend, had me writing numerous descriptors for nose and palate and adding to them each time I came back to the glass. A lovely perfumed wine, which on first sniff gave aromas of sweet spice and red fruits that then moved on to leather, forest floor and charcuterie as the wine continued to open. Acidity and tannin levels were nicely balanced with flavours of sour cherries, liquorice and wet leaves. 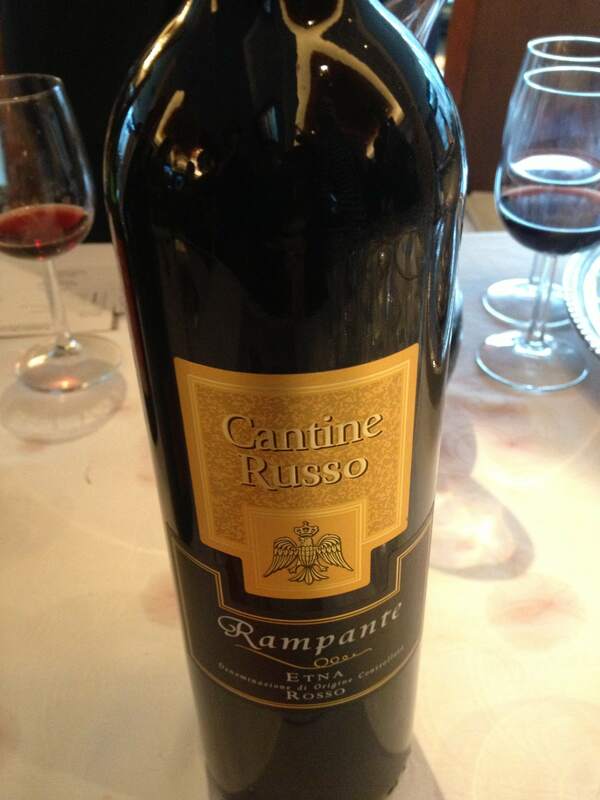 Cantine Russo has vines on the slopes of Mount Etna ranging in altitude from 700 – 1,000 metres above sea level. The location provides dark mineral rich volcanic soils and a wide diurnal range, or a wide contrast in day and night temperatures. The resulting wine is one of elegance in structure and layered complexity on the nose and palate. My other favourite was from Abraxas, a vineyard on the island of Pantelleria, south of Sicily, locating it, in fact, on the same latitude as the African city of Tunis. This island is most famous for the Muscats produced here. After the masterclass was the walkthrough tasting fair. What I particularly liked about this was the opportunity to taste multiple examples of Nero d’Avola, one of the more well known native varieties of Sicily, but one I had not tasted before. The grape provides deeply coloured purple wines of medium plus acidity and tannins. On the nose I found aromas of farmyard, spice and dark fruits. The palate showed black cherry, plums and blackcurrant leaf. 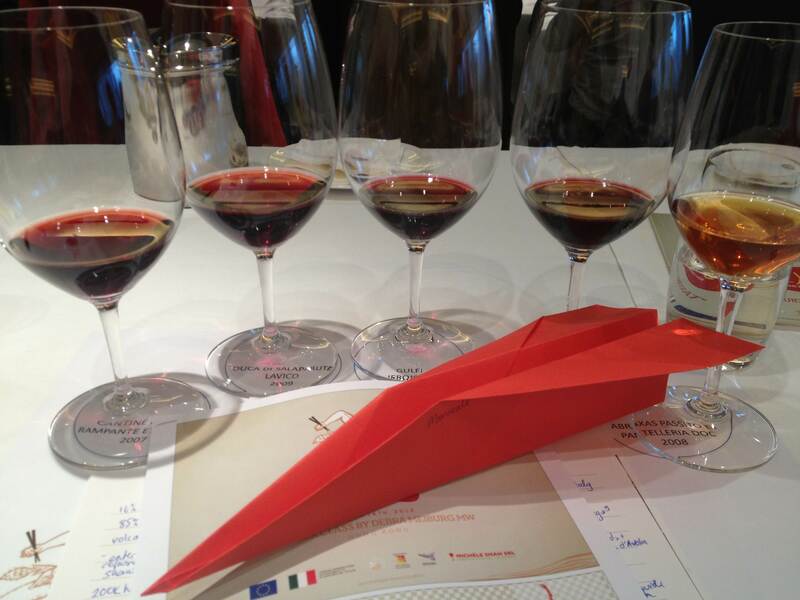 Of all the examples I tasted my preference was a blend of Cabernet Franc (50%) and Nero d’Avola (50%), from Abraxas – Sidereus IGT Sicily Red, 2009. Perhaps it was the perfume and softer tannins of the Cabernet Franc that led my novice Nero d’Avola palate to prefer this example over those of 100% Nero d’Avola. As the producer of 14% of Italy’s wine it was good to see many different examples of quality wines rather than the bulk wines for which Sicily has been known for in the past. Although it will take me a while to remember the names of these native varieties, let alone actually pronounce them correctly, I am going to be on the look out for them next time I am in a bottle store or perusing a wine list.